The Answer Starts with Another Question: Is Your Business B2B or B2C? Whether it’s Donald Trump expressing his opinions on international relations, your HR manager shoulder-tapping prospective employees or your mum writing embarrassing comments on your latest photos, every man and his dog is on social media these days. 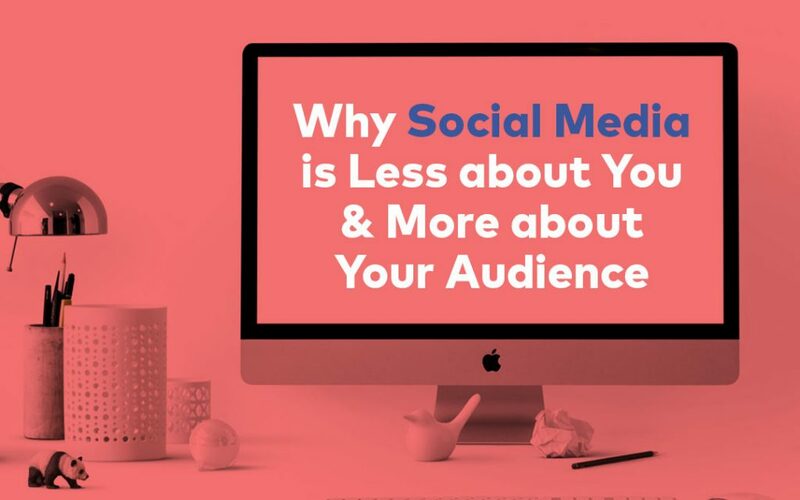 But while many of us use many social media platforms in our personal lives, when it comes to business, some platforms are better than others. First things first, businesses need to ask themselves if they’re primarily B2B or B2C focused because not all platforms work for either or both. Confused? 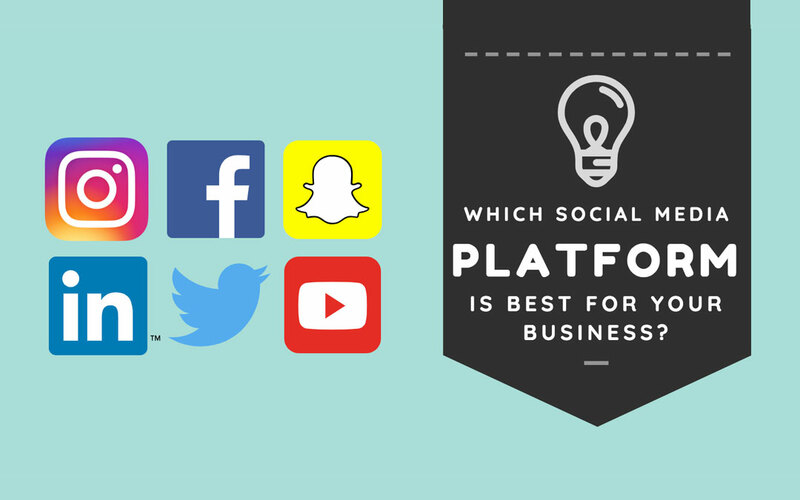 Here’s our simple breakdown of the most popular social media platforms in New Zealand and how to figure out if they’re right for your business. In 2017, 2.9 million New Zealanders had an active account – that’s 61% of all Kiwis and 90% of anyone aged over 15. Of those, a whopping 2.3 million Kiwis check Facebook every day. On average, Kiwis check Facebook 14 times a day which equals 50 minutes every day. 20% of New Zealand users follow company pages, and the younger the audience the more likely they’ll do so (43% of 18-29-year-olds and 38% of 30-39-year-olds, to be exact). When it comes to gender, it’s a pretty even split: 54% of Kiwi users are female. 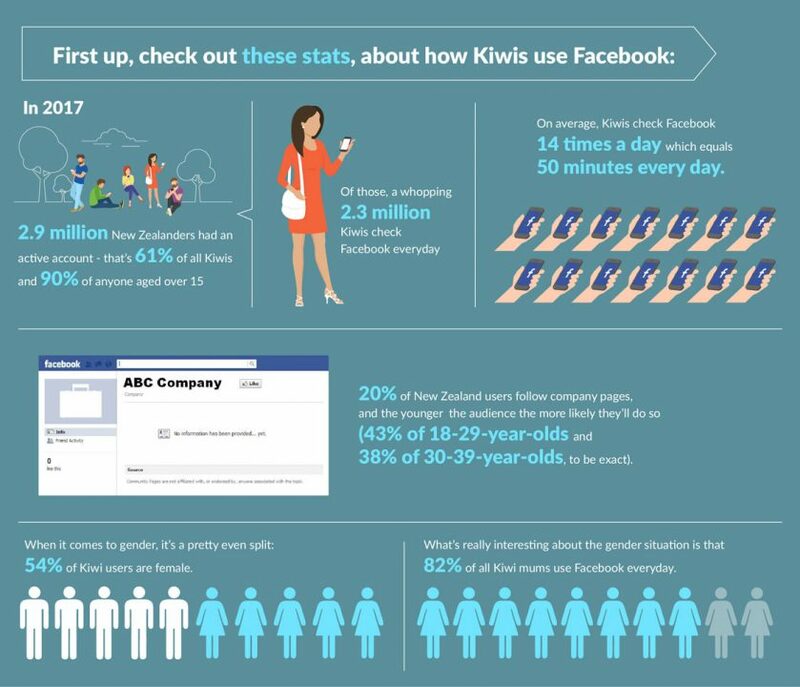 What’s really interesting about the gender situation is that 82% of all Kiwi mums use Facebook every day. After reading those stats, we don’t really need to say much to convince you that Facebook is a really powerful marketing tool for small and not-so-small businesses alike. 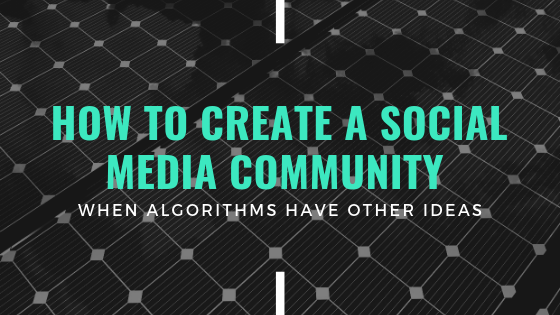 There’s an enormous audience out there; the real question is how to make the Facebook algorithm work best for you – which is a whole other conversation to be had. The pros of Facebook include a massive market and ease of entry. Cons include a requirement to regularly post in order for your audience to engage. Facebook is largely B2C (in some cases it’s B2B), so every post you, erm, post needs to have the consumer front and centre. Think about this in relation to the language you use and social media video content you create too. If you’re targeting Millennials but trying to talk to them like their parents would, you probably won’t get much leverage. The newest kid on the video block is Snapchat, a social media platform that lets users create 10-second videos that disappear after their recipient watches them. This platform is very very B2C; you’d be hard-pressed to find any businesses targeting B2B consumers on Snapchat and succeeding. 60% of all Snapchat users are under the age of 24, which makes this a prime online location to target Millennials. Companies that create unique video content, release behind-the-scenes footage, offer sneak peaks of new products or broadcast casual interviews with prominent figures can really increase the overall engagement of their customer base in all aspects of their company, not just on social media. 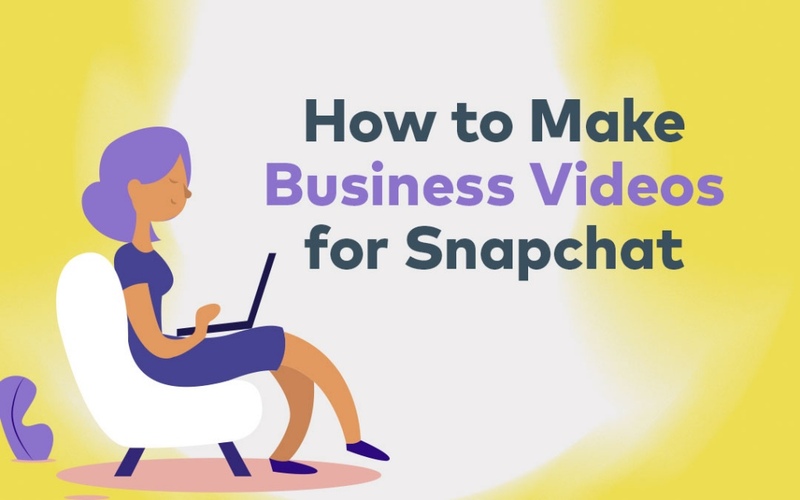 A company that uses Snapchat well will have a well-thought-out strategy that uses different styles of video content to tell different kinds of stories. A casual, hand-held video might be used to give a feeling of exclusivity behind the scenes, while a more refined and professionally-produced might be used to express more of a feeling of expertise. While it’s owned by Facebook, Instagram is basically everything Facebook isn’t. Revolving around the power of the image, Instagram is fast-becoming one of the most profitable earning platforms for businesses (and ‘influencers’) all over the world. There are 500 million users all over the world and almost 60% check the app every day, so if it’s done well, Instagram can be a very successful digital marketing strategy for everyday businesses. Primarily B2C-focused, Instagram is perfect for travel and hospitality (have a look at Brook Sabin’s travel account), fashion, health and wellness (check out Kayla Itsines, one of, it not the most influential online fitness instructor in the world with over 10.1 million followers), beauty and photography industries, and it’s big for the ‘Mummy bloggers’ front too (have a look at the Australian-based MissKyreeLoves account). The target age is predominantly 18-35 years and mostly women, which makes it the perfect platform to market your product if it’s particularly visual. Instagrammers beware, though: users have become accustomed to beautiful, high-quality pics so if you’re relying on stock photo accounts or grainy videos you’ve shot on your iPhone 3, you’ll probably be out of luck. Twitter used to be the preferred social media medium for many people but it lost its way in recent years. These days, the platform has re-emerged as a successful channel to share news, political rants and trends – all in 280 characters or less. Primarily B2C-focused (although suitable for some B2B), Twitter is particularly convenient for quick and efficient customer service so if that’s a big focus of your business, it could be a big benefit for your customers. If you’re a B2B-focused business (or involved in B2C employment) and you’re not actively using LinkedIn, you are severely missing out on customers and cash. Put simply, LinkedIn is the business version of Facebook in that you subscribe to a feed that features posts from your professional network. The most significant difference here is that LinkedIn users (mostly) don’t subscribe to the ‘youthfulness’ of Facebook. That means significantly fewer memes and cat videos, and much more valuable, informative content that will directly impact, influence and improve your business or your role as a business professional. 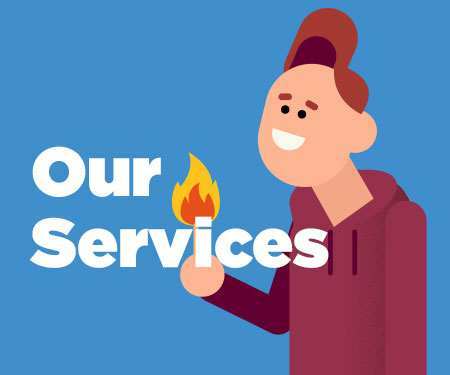 The age demo sits around 25-45 and sits evenly across genders, and most users are professionals who are experts in their field or who are actively looking for employment. It’s common for university graduates to set up a LinkedIn account to help with job searching, and CEOs, GMs, marketing managers and individuals who are serious about doing well professionally use the platform to connect with other businesses and business influencers. Since the very first video was published on YouTube back in 2005, an enormous 1,300,000,000 videos are now hosted on the platform, which equals 300 hours of video uploaded to YouTube every minute. Almost 5 billion videos are watched on YouTube every single day. 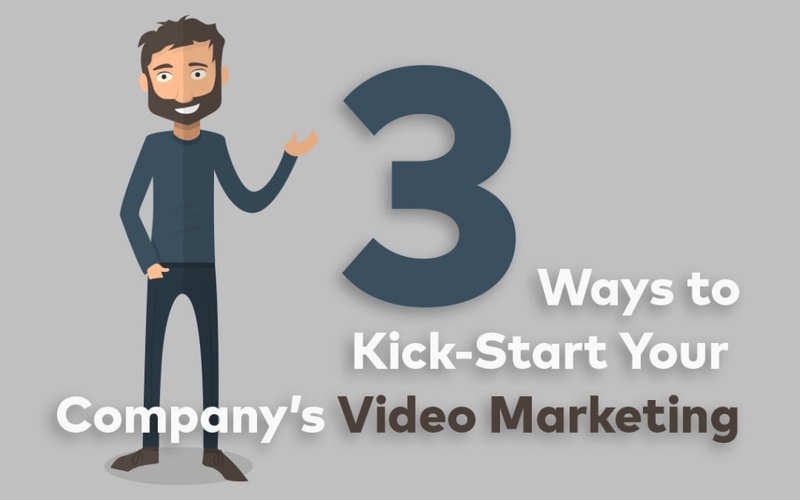 Whether you’re in the market for producing your own videos to share or producing advertising content to appear on other videos, the marketing opportunity is obvious. 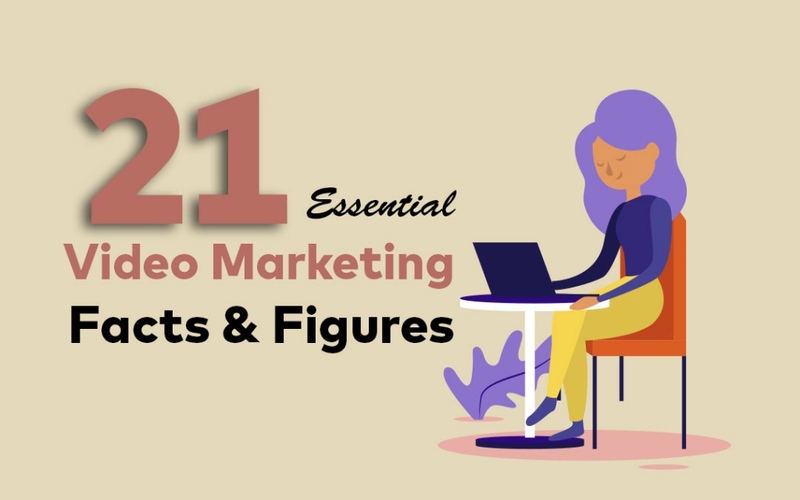 For anyone who produces videos, it’s important to keep them somewhere online that’s easy to find by users (predominantly B2C but still suitable for B2B). 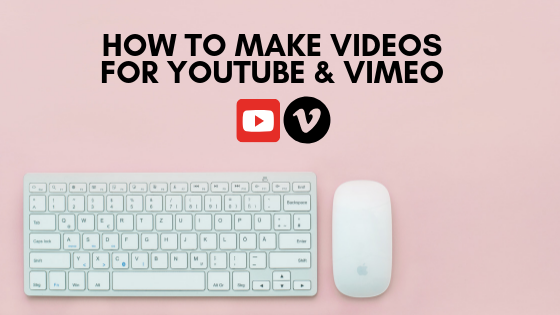 YouTube is everyone’s answer to the age-old question of “OK so I’ve got a video … what am I going to do with it now?” YouTube and other video storage platforms like Vimeo effectively host a video on behalf of a business and make it easy for them to share that content via almost any other platform like social media, web or email. Privacy is easy to manage on YouTube so you can make one video 100% discoverable by anyone but hide another from anyone who doesn’t have the link. Social media is a no-brainer when it comes to digital marketing. But what platform you decide to work on ultimately comes down to what type of business you are: B2B or B2C. Don’t waste your time on DIY social media strategies that don’t work for your business. 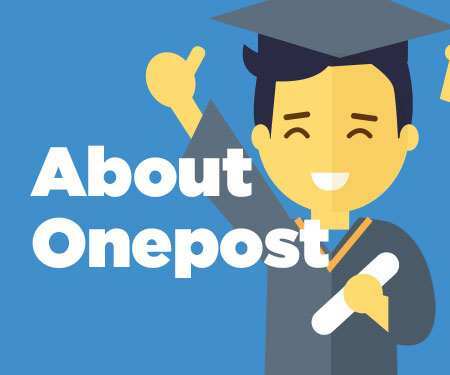 Book an appointment with the friendly team from Onepost and get one step closer to better social media that drives engagement and delivers results.